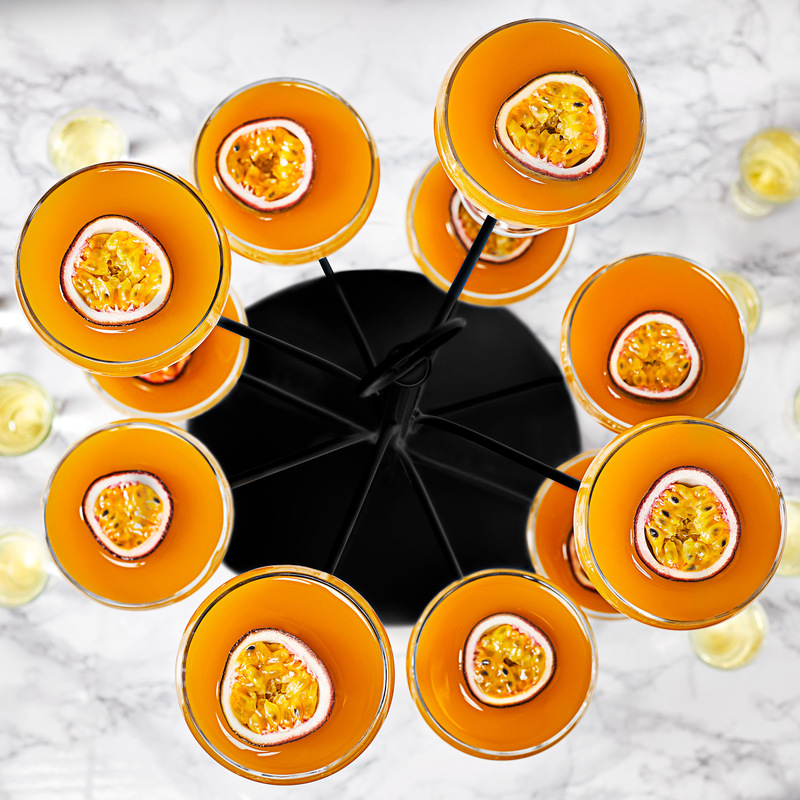 This Cocktail Tree features 12 Arms to hold a variety of cocktail or champagne glasses. Perfect as a truly unique and convenient drinks presentation. Specifically designed to hold our Essence Champagne Coupe Glasses , Essence Gin Balloon Glasses, Essence Champagne Glasses and Essence Margarita Cocktail Glasses. Perfect for serving up to 12 glasses, you can present champagne at events or a selection of gins for tasting evenings. Suited for use at home or commercial settings, this cocktail glass tree would take pride of place on any restaurant or bar table as the ultimate drinks presentation. Please Note: Only Cocktail Tree is supplied, no glasses are included. "This cocktail tree is good quality and of solid construction, I could not find a cocktail tree that holds 12 glasses for anywhere near this price elsewhere." "Received my gin tree earlier than expected and I love it.Good quality and good service."